"As the sun was shining directly above us, there I was on top and near the edge of a small waterfall, looking far and away at the cloud-kissed distant mountains, down to the small houses and fields, humbled by nature, felt so small but great with God's creation"
August is said to be the rainiest month of the year which means that we have greater water volumes cascading in our waterfalls. 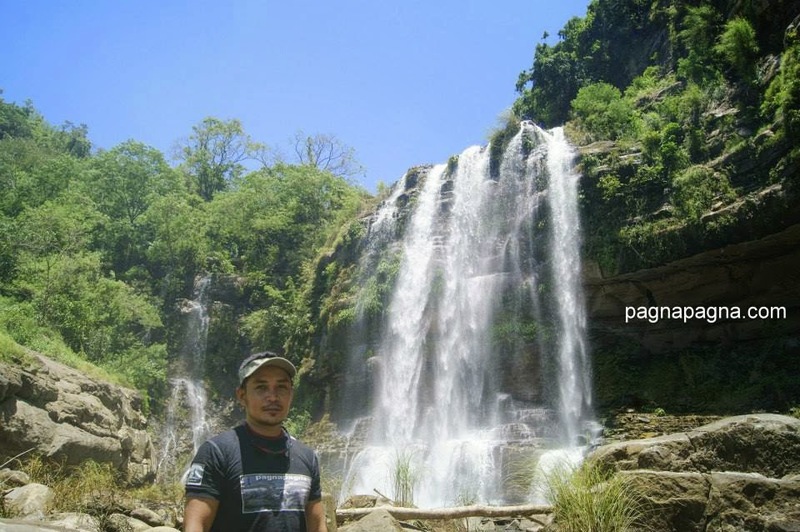 I went back to Suyo, Ilocos Sur to see again their waterfalls particularly the Sangbay ni Ragsak, Darawa and Sangbay. After almost an hour waiting at Bitalag, Tagudin, Ilocos Sur, we finally got a tricycle ride together with some other passengers going to Suyo, Ilocos Sur at 6:25 am after which we (the two of us) went down at the intersection just after the Urzadan bridge (6:48 am) which was just few kilometers after the Suyo Municipal Hall. We walked to the smaller left road while the tricycle went to the right side (main road) to convey the other passengers. As we walked, we passed by some two springs that crossed the road going down to the river. 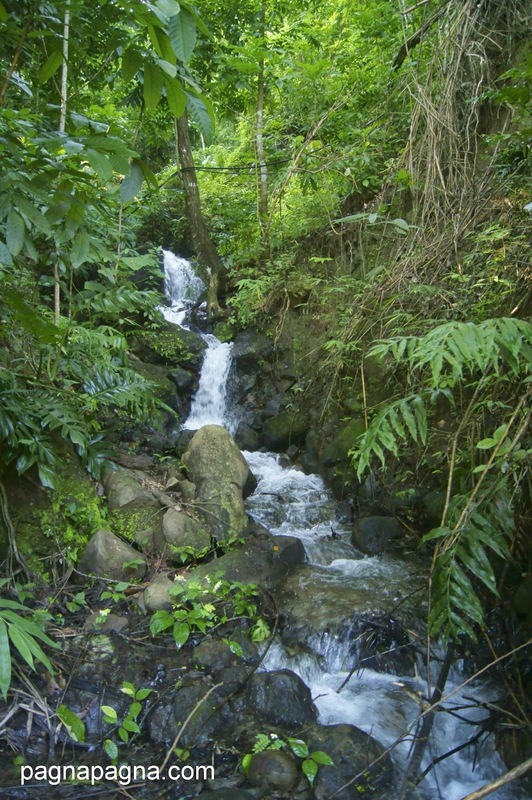 These springs which produces roadside waterfalls are abundant during these rainy season. We arrived at the bailey bridge at 7:30 am and continued walking until we went off-road to the trail going down to the waterfalls area (7:40 am). Compared to the last time we went there, the trail had improved. A distance before the waterfalls called "Sangbay ni Ragsak" was the shed where we rested for a while. Afterwards, we walked carefully on the bedrock (slippery when mossy wet) towards the falls and took a dip in its cold waters. Cooling down at the "Sangbay ni Ragsak"
At 9:46 am, we departed from the waterfalls area, walked the trail and arrived at the road above at 9:54 am. We continued walking, passed by the bailey bridge until just before Urzadan bridge, we rode a tricycle that happened to passed by. 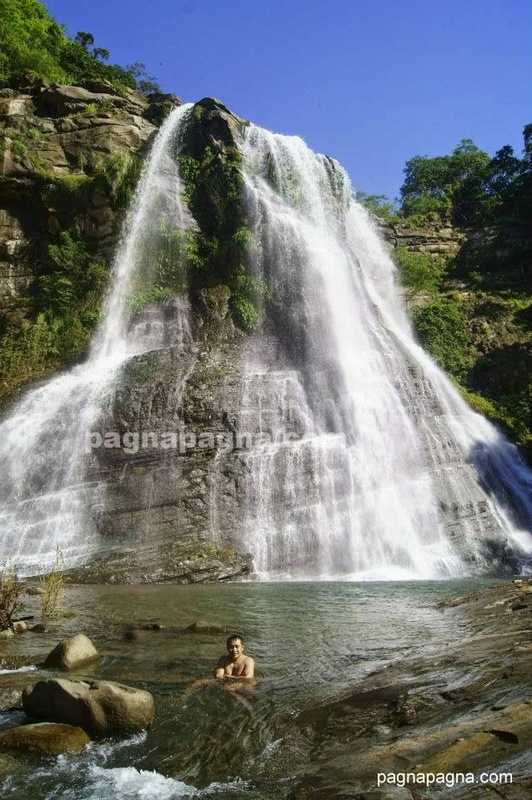 At the municipal hall area (10:49 am) we walked our way to the other waterfall called "Dawara". 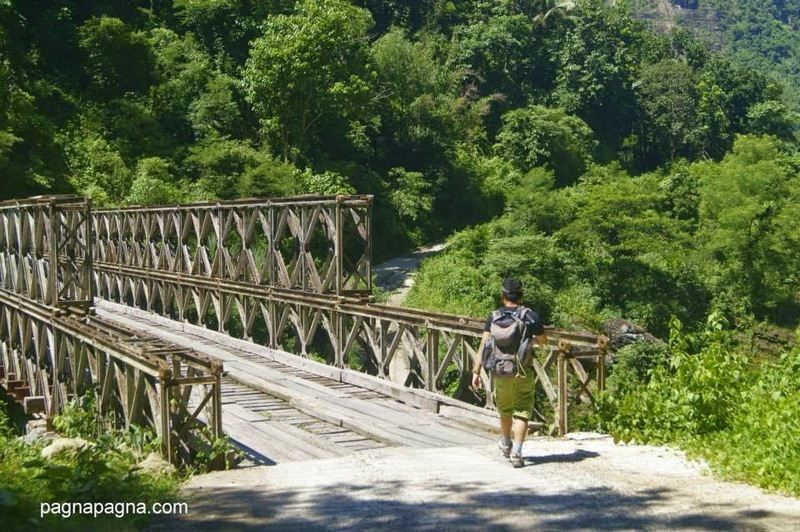 It was getting hotter along the way as we passed by a dilapidated hanging bridge (11:00 am). Along the river towards "Dawara" was even hotter. We lingered at the front of the waterfall just a few minutes and departed at around 11:36 am. 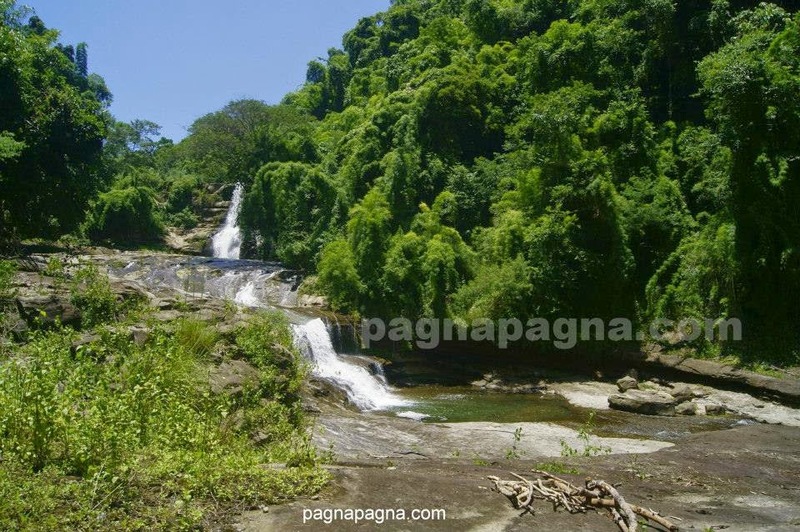 Along our way to the next waterfall called "Sangbay", we crossed a river and walked on the heated vast bedrock (12:18 pm) until we arrived at the "Sangbay". Looking at the small waterfalls, we noticed a trail at its side going up, so we ventured on it. We went on top of the waterfalls and lingered there for a while (daydreaming or simply just enjoying the view) even though the sun was directly shining above us. There, a man happened to passed by with an air-gun who perhaps came from hunting at the forest. He went down at the side trail, and walked away along the bedrock below. It was time to go back now as the heat was becoming unbearable. We walked our way back at 12:41 pm. Walked along the bedrock, crossed the river (12:49 pm) and arrived at the main roadside at 1:05 pm. At one of the stores near the municipal hall, we ate "pancit" for lunch as we waited for the tricycle to get other passengers for the driver wants a minimum of four passengers (which is reasonable) for there was only the two of us. 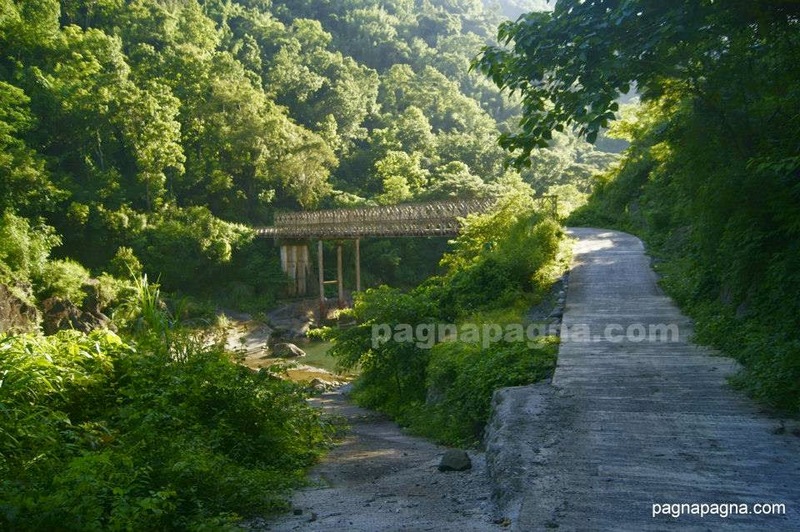 At 1:33 pm we departed from Suyo, Ilocos Sur (a little bit sleepy inside the tricycle) and arrived at Bitalag, Tagudin, Ilocos Sur at 2 o'clock pm were we waited for a bus not going back to Home Sweet Home but to another small waterfall at Sudipen, La Union.